This is the first in a 2-event Adoptive Parent series. Your ticket purchase grants access to BOTH events. “Side by Side: Out of a South Korean Orphanage and Into the World” is a multi-platform documentary project revealing 60+ years of inter-country adoption with first-person stories from 100 adult adoptees. For this special Also-Known-As screening, two themed film compilations “Growing Up” and “Searching for Answers,” focusing on identity and birth search, will be shown. Afterward, a panel with Side x Side creator and co-director Glenn Morey and two local adoptees who appear in the films, Joy Lieberthal Rho and Heather Won Tesoriero, will discuss and take questions on the issues and emotions presented, with the hopes that parents will be better able to have meaningful interactions with their adopted children on these topic. Former Also-Known-As president Marissa Martin will facilitate this special presentation. Glenn Morey, has worked in film since 1981 as a writer, creative director, commercial and documentary filmmaker, including as an Executive Producer for the Mustapha Khan documentary film, House on Fire: Black America Responds to AIDS, which was awarded Best Documentary for the Houston International Film Festival, broadcast on PBS, and selected for a number of international film festivals. As the CEO of the Morey Group of branding, advertising, and online publishing companies, he is the recipient of hundreds of creative advertising awards, as well as recognition by Adweek and Advertising Age magazines. Glenn’s personal story, as an inter-country adoptee from South Korea, was the initial motivating and creative force behind Side by Side. Joy Lieberthal Rho, LCSW is a social worker in private practice in Westchester, NY. 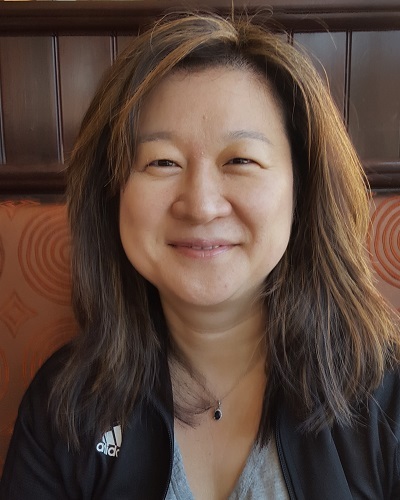 She has been involved with the international adoptee community for over 20 years, as president of Also-Known-As, policy analyst at Donaldson Adoption Institute and staff at a private adoption agency in NYC. She was the former clinical supervisor at the Korean American Family Service Center, a domestic violence service organization. She works as a counselor for the Juilliard School and co-directs Sejong Camp, a culture camp for Korean adoptees and American born Korean children. She is one of the creators of IAMADOPTEE.org, an online resource lending, crowdsourcing community for international adoptees. Joy is adopted from Korea, was found by her birthmother and has been in reunion with her for over 20 years. She writes about her reunion and other musings at adoptionechoes.com. Heather Won Tesoriero was adopted from Korea in 1974 at the age of nine months. She grew up on the eastern end of Long Island. An Emmy Award-winning producer and journalist, Heather is the author of THE CLASS: A Life-Changing Teacher, His World-Changing Kids and the Most Inventive Classroom in America (Ballantine Books; Sept. 4, 2018), which was a 2018 Barnes + Noble Discover Great New Writers selection. She has been a producer at CBS News, and a reporter for The Wall Street Journal, Time and Newsweek. She lives in New York City with her husband and two daughters. Marissa Martin is the Executive Director of the Advocacy Institute, a nonprofit committed to supporting the legislative advocacy of social justice and movement building organizations in New York State. She previously served as the Northeast Director at Young Invincibles and as the Senior Advisor for Strategic Initiatives at the NYC Public Engagement Unit. Much of Marissa’s experience comes from her work as the Director of Policy and Government Relations at ExpandED Schools and as the Director of Government Affairs for the Coalition for Asian American Children and Families. She earned her Masters in Social Work from Silberman School of Social Work at Hunter College in 2012 focusing on Community Organizing, Planning and Development and received her license in 2014. She has held many positions within Also-Known-As, including terms as president and director of mentorship.